Hi all! 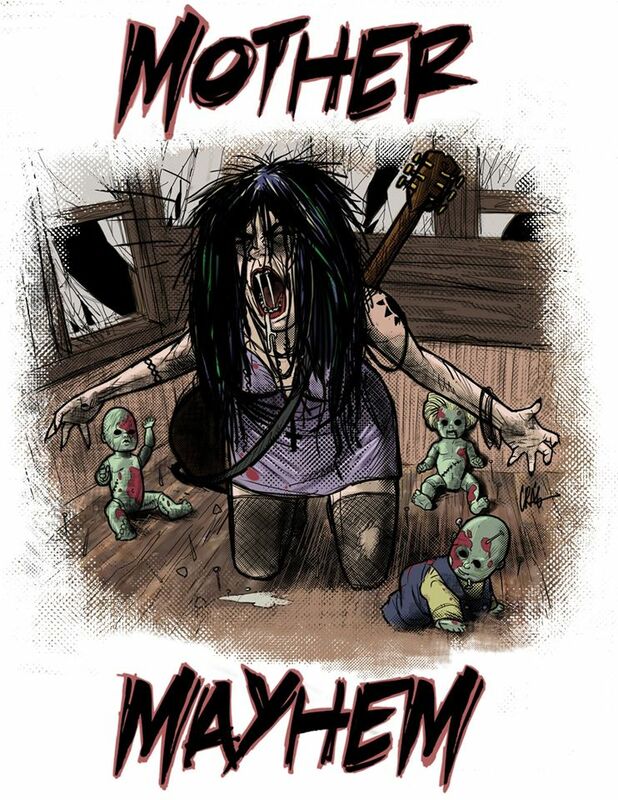 I just finished this art for the heavy metal band MOTHER MAYHEM from San Francisco! I’m posting the black and white and the colored versions here. 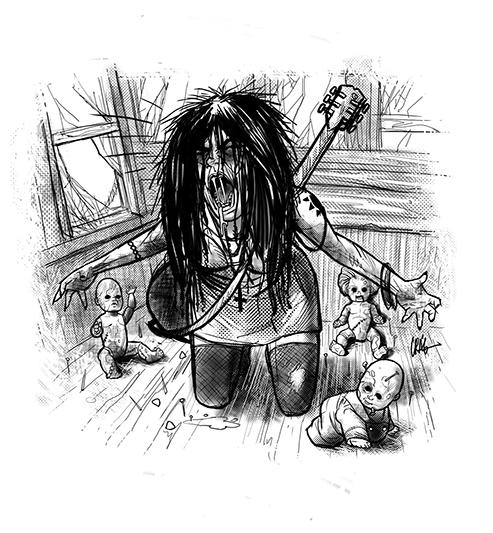 Click on the images for larger versions. More soon!